around a long time, be sure to take the survey soon and be recognized. 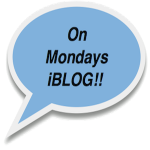 The offers on this page are brought to you by the Apple User Group Advisory Board and are exclusively for current members of Apple User Groups. So that we may continue to make offers such as these available, please do not distribute this information to non-members. User Group Leaders: please distribute these offers to your members via newsletter, email, listserv or other private method. Do not make this information publicly available. Fantastical 2 is an advanced calendar and reminder app with a beautiful, all-new design for OS X Yosemite and El Capitan. The original Fantastical was only a menu bar app, but has now been reinvented into a full Mac application, without losing the prior benefits and convenience. Powerful and innovative versions are also available for the iPhone, iPad, and Apple Watch. Learn more at https://flexibits.com/fantastical. Regular prices for Fantastical 2 are $49.99 (US) for the Mac version, $4.99(US) for the iPhone version, and $9.99(US) for the iPad version. 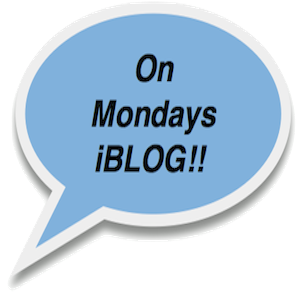 Apple user group members can get 20% off the Mac version by sending an email request to mug@flexibits.com. This worldwide offer is only valid through April 30, 2016. EverWeb is available as a standalone application for $79.95(US), or with a hosting account that allows you to publish your website without any FTP information for $99.95(US). Apple user group members can now purchase either versions at 50% off (not applicable to renewals and/or upgrades). You can try EverWeb free of charge before purchasing. EverWeb also comes with a 60-day money-back guarantee, so you can purchase with confidence. This worldwide offer expires December 31, 2016. No matter what Apple devices you’re using, there’s a Take Control ebook that will help you polish your skills, work more efficiently, and increase your productivity. Written by the most-trusted names in the Mac world and published by Adam and Tonya Engst of TidBITS, Take Control ebooks provide the technical help you need now. To purchase ebooks with this discount, use the URL http://joeontech.net/books/?coupon=CPN90219MUG. Too many passwords to remember? 1Password 5 for Mac, newly released for OS 10.10 Yosemite, is a password manager that goes beyond simple password storage by integrating directly with your web browser to automatically log you into websites, enter credit card information, fill registration forms, and easily generate strong passwords. 1Password purchased from the AgileBits webstore supports syncing via DropBox and WiFi. Using an older operating system? No worries! By purchasing a 1Password 5 for Mac license you also receive a 1Password 4 and 1Password 3 for Mac license. 1Password 4 works with OS 10.9 Mavericks and 10.8 Mountain Lion, and 1Password 3 supports OS 10.7 Lion and OS 10.6 Snow Leopard. You can download both 1Password 4 and 1Password 3 for Mac from the Legacy section at the bottom of the Agilebits downloads page: https://agilebits.com/downloads. Note that 1Password 4 for Mac will use the same license file as 1Password 5 for Mac uses. Eltima Software is a global software development company, specializing in Flash software development for Mac users. All flashers will see the true value of Flash Decompiler Trillix for Mac, Flash Optimizer for Mac and SWF & FLV Player for Mac. With these products, managing Flash files is easy: decompile, compress or just play them back. Regular prices for Eltima’s Flash software range from $19.95- $99.95 (US). Using the coupon code gives user group members 20% off. Micromat, leaders in diagnostic maintenance and repair for Mac, is offering a 20% discount to all Apple user group members. Use the coupon code below during checkout at the Micromat Store to receive this special discount on all of Micromat’s products. NoteboomTutorials.com is known for Mac, iPad and iPhone tutorials that are fun and easy to use. Noteboom Productions is offering 33% off annual memberships to Mac User Group members – that’s only $39(US) per year, which comes to less than $4(US) per month. The Mac User Group membership discount is good on annual memberships only, and gives unlimited access to all tutorials across all devices. This offer is a recurring rate – as subscriptions renew each year, they renew at the $39 rate. Order from the O’Reilly Store online or by phone at 1-800-998-9938 ( extra shipping costs outside U.S.). Prosoft is the award-winning leader for data loss prevention and recovery. As long-time user group supporters, they value the feedback and support that they have received from the Apple User Group members worldwide. In return, they are offering a 25% off list price special price to user group members. For more information on user group special offers, go to the Apple User Group Resources website at http://appleusergroupresources.com. I got a Kindle Fire for Christmas. Since tablets are the Big Thing right now, I wanted to share some basic info for anyone who may be thinking about an iPad or any other of the dozen or so tablets out there now. The Kindle Fire is a very good deal for the price. I purchased Lion on the day it was released (July 20). Lion (new Apple operating system 10.7) is starting to purr better as I have used it for three weeks. Automatic Shut Down: The first time I shut down with Lion it did so automatically. I checked the “shut down” button under the Apple icon. A prompt asked me if I wanted to “shut down” my computer. I said “yes” and one by one the applications closed on it’s own. In less than a minute, the MacBook Pro automatically shut down. I like this feature better than the older Snow Leopard — you had to manually closed each application before you could shut the computer down. For those that missed the initial announcement (like me), Adobe has revised one Mac OS X product and resurrected another. Consider Photoshop Elements the lite version of Photoshop (mostly because it is). It a great add-on to iPhoto when you need more. And with the Advanced Photo Editing option in iPhoto, you can easily use both iPhoto and Photoshop Elements at the same time in the same iPhoto app. If you are frustrated with the new iMovie (actually it’s not that new anymore), and you want features like the time line in the original iMovie back, then Premiere Elements is right up your alley. Premiere is a replacement for iMovie (sorry, not an add-on). 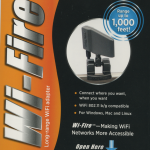 I recently had the opportunity to test a new product (new to me at least) called Wi-Fire. 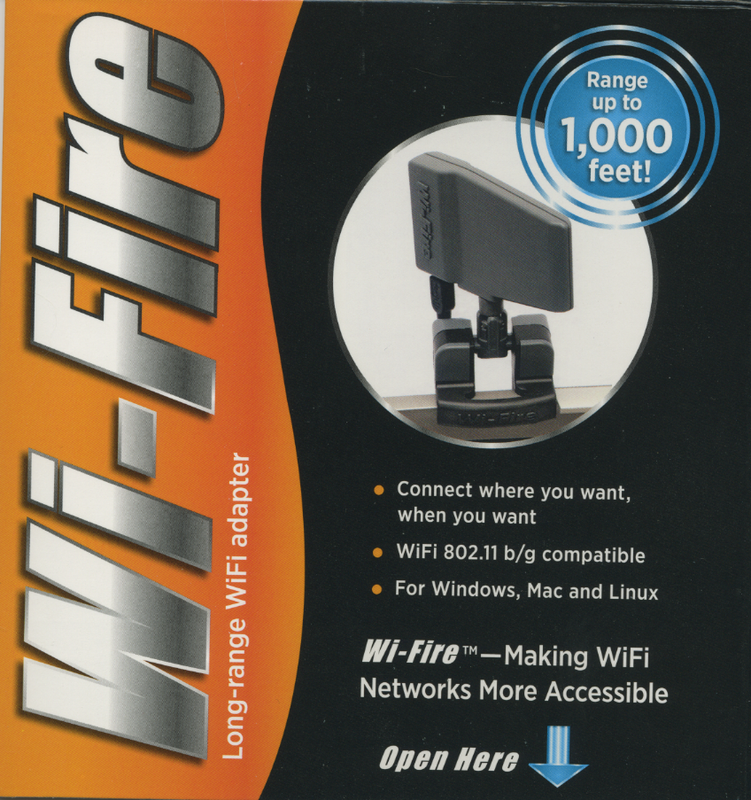 It is a long-range WiFi adapter that connects via USB. It’s not really new, Wi-Fire has been around since 2007. The DuPage AUG Message Board is available now! And, without leaving DuPageAUG.com! Try out the new Forum tab in the top menu! The message board is intended for the exchange of information, help request, meeting topic requests, announcements, and more. You can join today! You need to join the DAUG Google Group. Please include your real name when signing up as it will help the group managers find your membership record. Once you join, you can post a message using either a web browser or your E-mail application. Click here to view our earliest newsletter August 1979! Apple is Looking for Oldest Apple Club and members! It could be US! DAUG! In light of this year’s 40th Apple anniversary, we are looking for long-standing groups and long-time members, so that we can feature them in the March edition of the Apple User Group Bulletin and the Apple User Group Resources blog. Participation is limited to the first 100 responses and closes on March 12, so if your group has been around a long time, be sure to take the survey soon and be recognized. Self Help – Podcasts, Websites. It is confirmed that there will be a TEDxNaperville this Fall on 11/11/11. Can’t wait that long? Then stop by our new TEDxNaperville Salon events! A salon event is a monthly small group meeting of TED enthusiasts. We simply watch a few TED videos, eat and drink, and partake in stimulating conversations. TEDxNaperville Salon events are the first Monday of every month, at Quigley’s Irish Pub in downtown Naperville from 6:30-8:00pm. More information and tickets (its free!) at Tedxnapervillesalon.eventbrite.com. Registration is required, due to limited seating. Ads, we all hate them, or most of them. Some ads, we do seem to like. Apple ads comes to mind as some of the good ones. Anyway, ads are now present on iPhones and other iOS devices along with on Android devices. The ads might be iAds from Apple, or they might be AdMob ads from Google or they might be from some place else entirely. As a developer, it’s amazing how many people won’t spend $1.99 or even 99 cents for an app. They want the freebies. We’ve gotten spoiled that way with TV and radio. It’s the ads that support the shows we watch. And it’s ads making the development process affordable for developers. Recently on the DAUG email discussion list, http://groups.google.com/group/daug, there has been some discussion about backups. Time Machine makes multiple copies of backups. Great for accessing something you’ve updated seven times since you deleted the information you needed a month ago. However, a Time Machine backup is not a bootable backup. If you machine goes kablooie, you need to boot from your system disc (i.e. Snow Leopard) and select the option to restore from a Time Machine backup to restore on to a replacement machine. Of course, this will wipe out the drive on the replacement machine. Not a problem if the replacement machine is truly a replacement machine, but not a good idea if the replacement machine is simply borrowed while your machine is being repaired. For a bootable backup, consider a program like Carbon Copy Cloner (CCC) or SuperDuper (SD). CCC is donation-ware. If you like it, they ask that you donate to support it. SD is a purchase product. SD has stated that they charge for their software mostly because of the support they provide. SD says nothing is more important than support when you need to restore from a SD backup. A bootable copy of this nature is a complete and exact copy of your boot drive. You can even setup a schedule to make a regular, timed, backup of your boot drive so it stays current. Social Networks (the Internet kind) are new for me (Jim). I have added a Social Network page with the DuPageAUG Twitter (Eric). In all of the iLife and iWork applications, go to the Help menu and you will find Video Tutorials. If you haven’t checked out the PodCast area on iTunes, you should. There are a lot of offerings there on just about any subject. Watch them on your computer with iTunes or send them to your iPhone or iPod. Some of the best PodCasts are fromScreenCastsOnline.com and many are free.